Nobody is perfect, but that doesn’t mean we shouldn’t try to be. 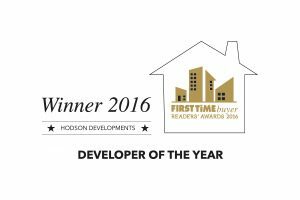 Our Managing Director, Alan Hodson, has put his family name to Hodson Developments, so we take personal pride in what we do. We want to be the best housebuilder in the industry, but we can’t do that without you. If we have done well and exceeded your expectations, we would love to hear from you. Equally, if we make a mistake, we want to learn from it and put it right. For this reason, shortly after legal completion, you will receive a letter from our Sales Director of Hodson Developments inviting you to provide any comments you may have and you may be asked to complete a customer satisfaction questionnaire. We would be very grateful if you would take the time to complete this questionnaire about your new home and the service we have provided. You can be assured, the feedback we get is shared throughout the company and all individual comments are taken on board and will be personally reviewed. Over the years changes to our procedures have already been put in place as a result of the feedback we’ve had. And we will continue to strive to get even better. You shouldn’t just take our word for it, see what some of our other customers think of us. “My husband and I decided it was time to leave our house and downsize to something easier to manage. Hodson’s Viridium development was the second place we visited, the result of a rival estate agent telling us how nice they were. We liked what we saw, but it was early days – we looked around for a good 6 weeks before going back to Viridium again. We really loved it, made an offer and had it accepted before the day was out. I mist say, the ladies in the office have been so kind and helpful – nothing seems to be too much for them. And we made quite a few visits back to measure things, check things, show our friends and family; they just welcomed us and made everything happen.